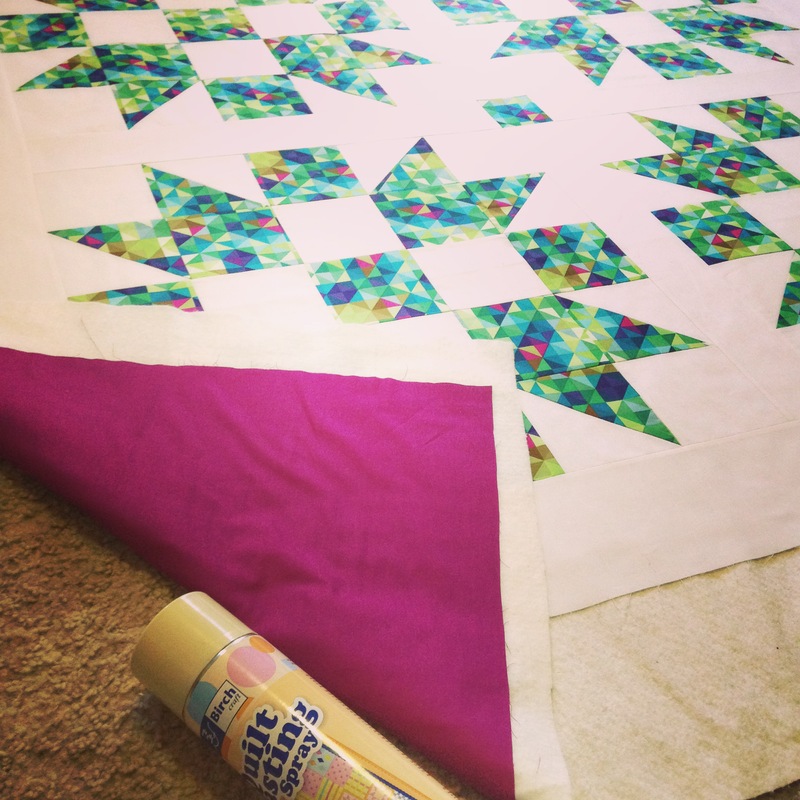 ‘Quilt-Along-With-Me!’ Part Three: Backing, Batting & Basting! Whew! Part Three in my QAWM series is finally here! It almost seems that the universe was throwing everything at me last week preventing me from getting this stage filmed, edited and published! For starters, the weather in Sydney at the the start of last week went absolutely crazy! I had never seen so much rain fall in my life! It literally never stopped! Thus resulting in me being confined to the house to simply wait it out. (It was advised by authorities not to leave your home if you really didn’t need to! That’s how dangerous the rain had become!) So after three to four days stuck inside, cabin fever kicked in and I couldn’t help singing to myself this song from one of my favourite childhood movies, Muppet Treasure Island! Finally on Thursday the rain stopped and I was able to visit my local fabric store to buy the fabric for the backing, the exact batting I wanted, a new can of basting spray and thread that matched the colour of my backing fabric. On Friday, we were forced out of the house as scheduled electrical work was happening in our area, thus resulting in losing our power for four hours between the time of 8am and 4pm. So to the city we went! We caught a train to Circular Quay, had some lunch and then hopped onto a ferry that took us around to Darling Harbour where we went to have a look at the Madame Tussauds Museum. 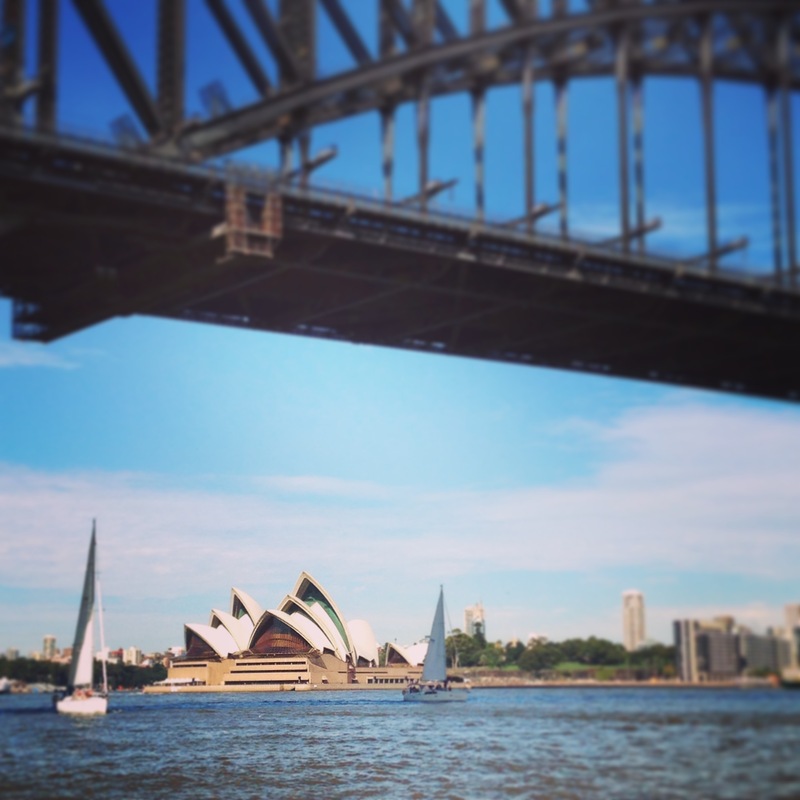 Sydney was looking beautiful this day! 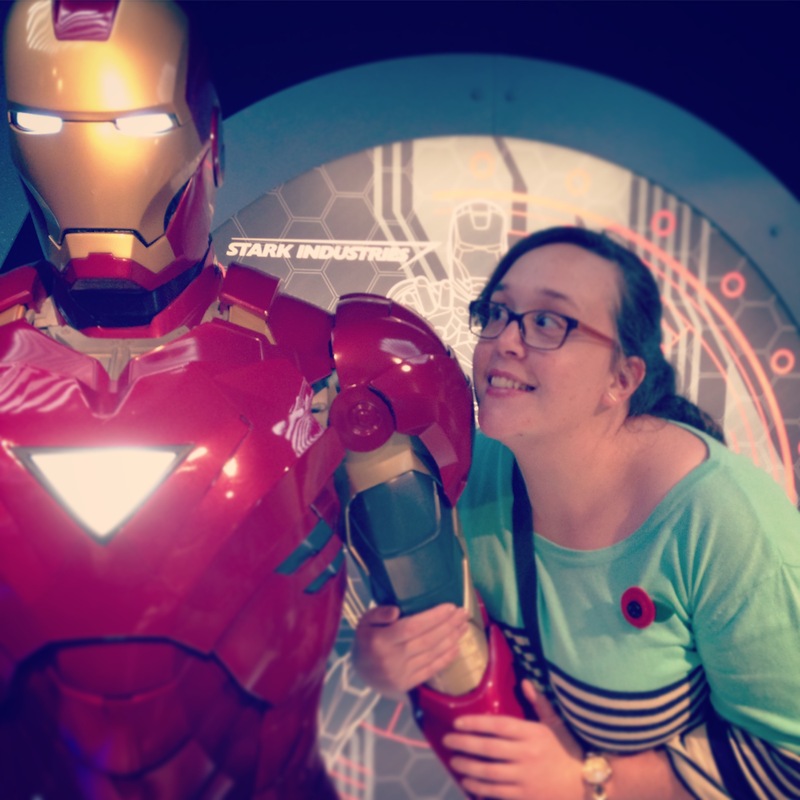 I met an Avenger! Squee!! Saturday was the centenary of ANZAC Day, a special national day that all Australians and New Zealanders hold close. It was the day that our troops landed on the shores of Gallipoli during World War One. The history is a tragic one of poor leadership decisions, of being led to the wrong place and of heavy losses that weren’t at all necessary. ANZAC Day is a public holiday for us where we are given the chance to honour, remember and celebrate what the ANZACs did for our nation as well as recognise the others who have and who still do serve our country. On Saturday afternoon, I thought I’d take the time to get started on filming part three. However, after discovering unfixable holes in my backing fabric after cutting it in half and sewing them together, I threw it in and spent the rest of my time making and sewing hexies! Venturing out again to the fabric store was a no go as most stores closed early due to ANZAC Day and to add insult to injury, a huge storm was currently battling its way across Sydney that brought very heavy rain and hail stones! Eek! Roll on Sunday… I bought some new backing fabric, ensuring that it was perfect! My camera was charged and ready to go. The sun was shining which meant my lighting would be perfect! And most importantly, I was in a good mood! So I jumped on the moment and got it filmed and done! So that was my week… Although I did forget to mention the numerous people we had around for lunches and dinners (we were the most sociable house on the block last week!) as well as the horrid bout of stomach flu I suffered on Monday and Tuesday, adding to my rainy day blues! On the positive side, on the down days I was able to write and publish a very over due blog post (my March Favourites) as well as make a quick and very spontaneous tutorial on how to make an ANZAC Poppy Felt Brooch! Win! 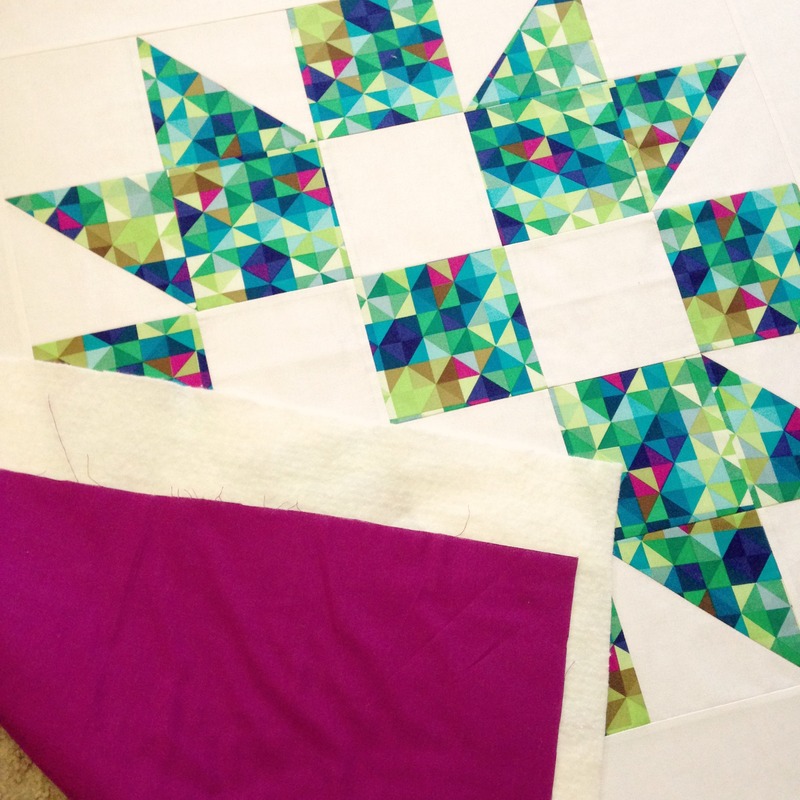 So in Part Three of the series we’ll be looking at how to make a pieced quilt backing, how to chose the right batting as well as how to baste a quilt together so that it’s ready to be quilted. As always, everything you’ll need to know regarding measurements and cutting instructions is in the information sheet linked above! Part Four will be all about quilting our quilt! 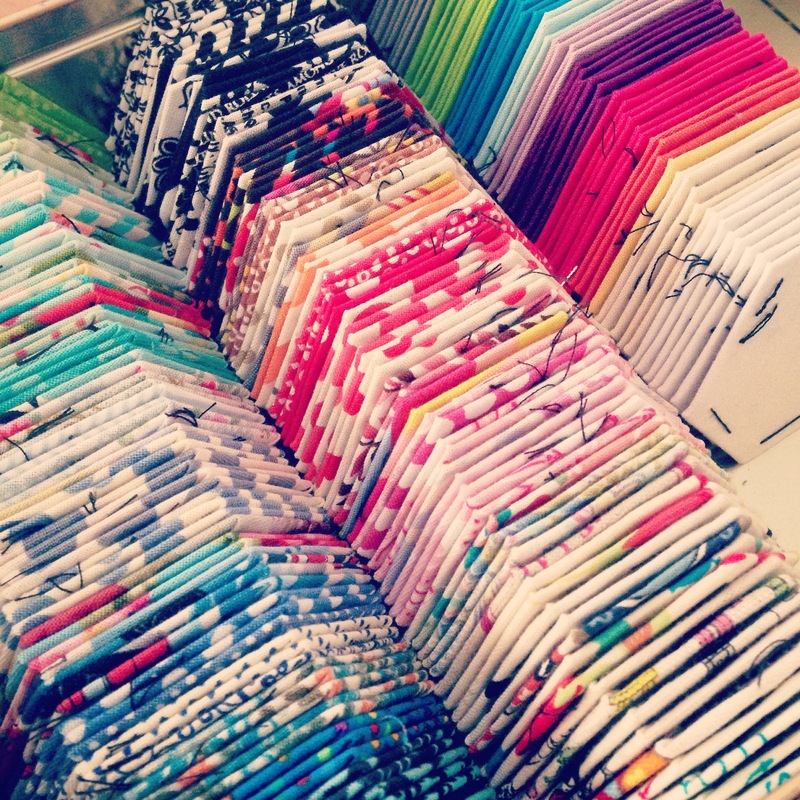 I’ll go through the different ways you can do this while also discussing the way I’ve chosen to quilt my quilt. I’ll show you how to set up your sewing machine for quilting as well as the way I like to organise my space so I’m comfortable and happy! Also, don’t forget to show me your finished blocks and quilts! Tag me on Instagram or Twitter at @3and3quarters, send me an email or share them on Facebook! Previous PostMarch Favourites! Next PostApril Favourites! Wow! Your alliteration is on point!! Well done! 😃 It’s great to know that you’ll be joining in on my QAWM series! It’s really encouraging, thank you! !